Following the basic style sheet of Milan, designers ditched the 70s hustle and stuck to their abstract, individual tastes. 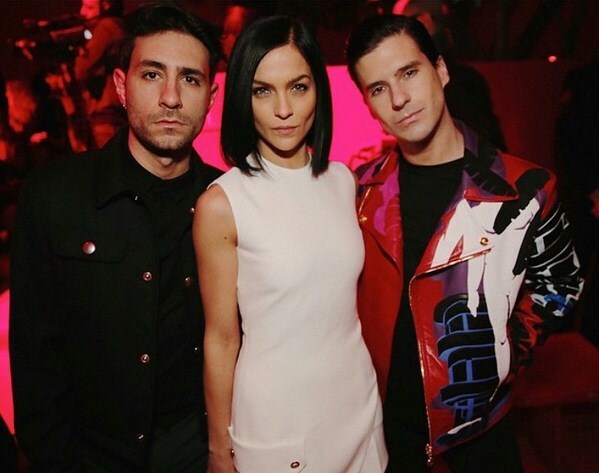 They predicted that the upcoming winter will see a whole lot of androgyny and power dressing. Basically, everything that Fifty Shades of Grey taught us. Besides the belts, knee-high lace-ups and glossy leather boots, we also saw the rise of pleats, patchwork and structure. 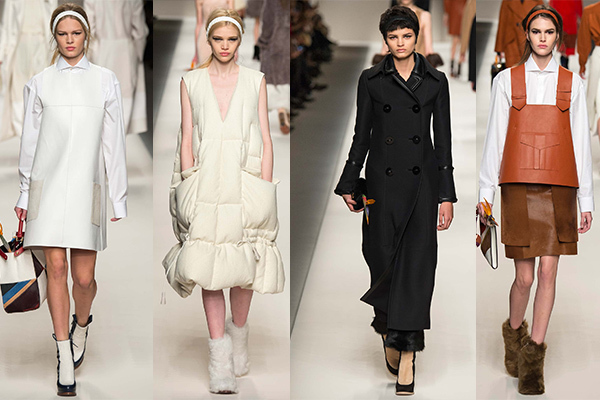 Verve handpicks some of the best looks straight off Milan Fashion Week Fall Winter 2015. Alessandro Michele’s collection for Gucci completely broke down the stet expectations that one had from the double G club. He surpassed our expectations, making his debut as memorable as the dresses he designed. Cutting edge: The Gucci girl this time, was one who’d source her clothes from a vintage closet and layer it with chunky heirloom jewellery. Don’t miss the military slant and sheer ensembles. We love: the botanical print dresses and of course, an exhilarating debut collection. 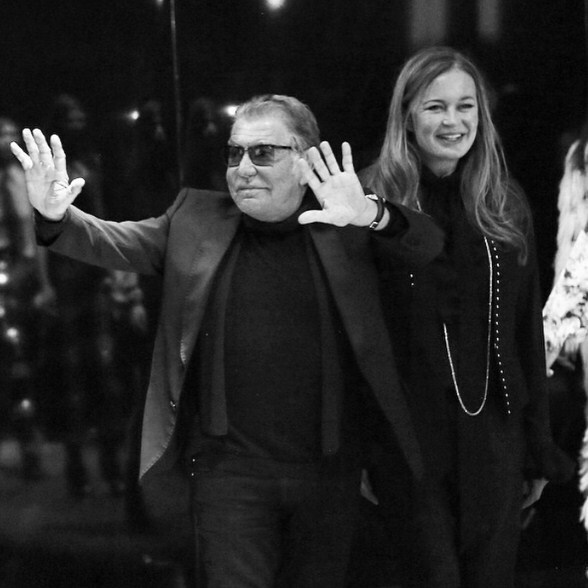 Karl Lagerfeld ditched the girlie-ness of Fendi’s spring collection, and instead played around with leather panels and a strong color palette. Cutting edge: The voluminous fur coats, redefined envy shades and artistic inspiration taken from Swiss artist Sophie Taeuber-Arp do not reflect history, but are an ode to modern times. We love: Lagefeld’s projection of tough times via bags that featured the bird-of-paradise. 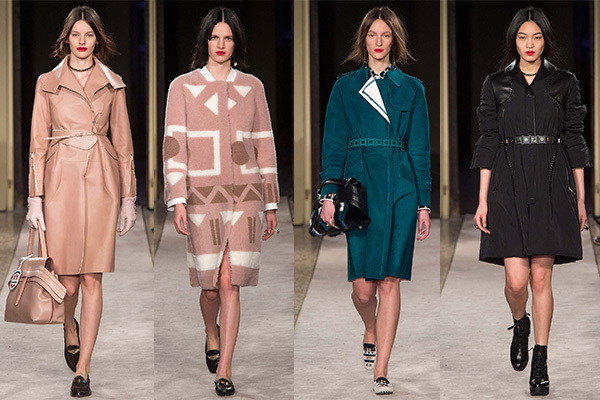 Alessandra Facchinetti’s collection for Tod’s is precisely your go-to for the upcoming winter. The well-designed pantsuits, and sporty downtown jackets and shirts paired with streamlined skirts were the winning numbers on the runway. Cutting edge: Graphic designs made an appearance on knits, and were meticulously paired with distressed jeans. We love: the swaggering shirts paired with printed skirts and trousers. 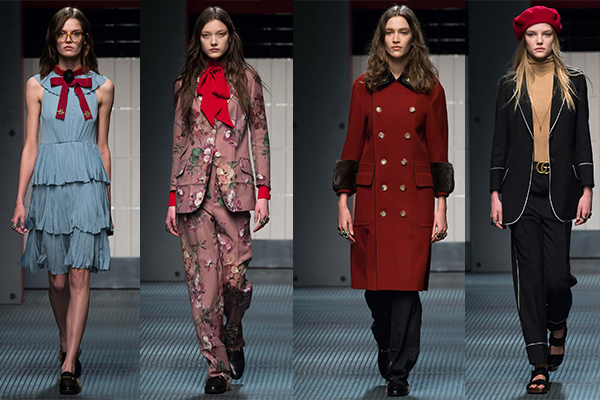 The collection for Prada showcased a fabric that resembled something out of a Disney movie. We’ve got the hots for this spongy material, that happens to be a double-faced jersey. Cutting edge: Miuccia Prada’s concept was to take something so serene and soft like pastels and subject it to the harshness of structured silhouettes. 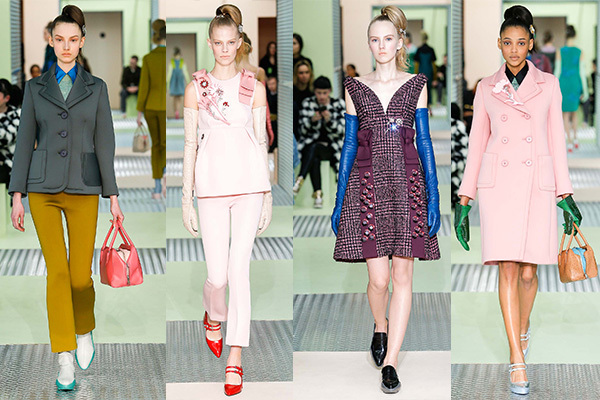 Born of this idea were pantsuits paired with opera gloves, brooches and empire lines. We love: to see the darker side of pastels. Much like a work of art, some of the pieces in Armani’s catalogue had brushstrokes, giving strong androgyny a spring of fluidity. 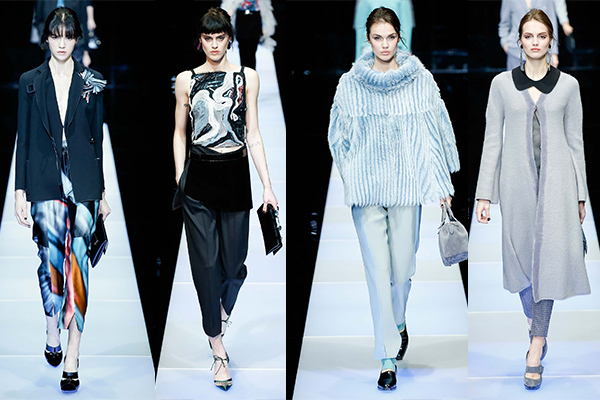 Cutting edge: Armani’s collection for Fall Winter revolved around powerdressing. The cropped jackets, cummerbunds and suits showed a minimalistic approach to fashion. We love: how simplicity is synonymous with strength. 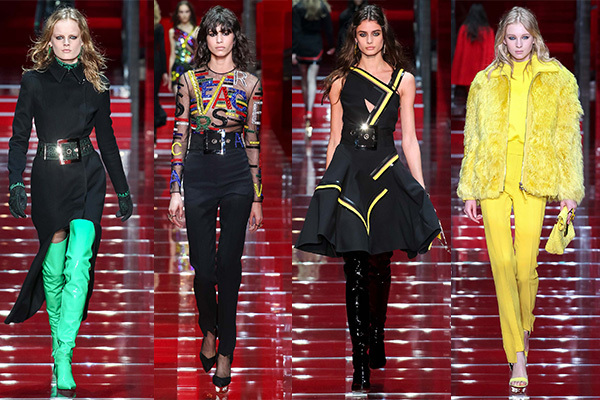 Donatella Versace added a string of digital elements to her collection with hashtags, @ symbols and emojis. We approve of the Versace alphabets that went hand-in-hand with their signature Greek fret. Cutting edge: The thigh-high boots in basic colours showcased a simple past coinciding with a complex future. We particularly thought that the sequinned @ symbol defined cool. We love: the Versace branding in stark primary colours. We love: how Simmons’ ‘Call your mom’ has seeped into D&G’s concept for Fall Winter. We love: the 3D textures, and the wallpaper-inspired collection. 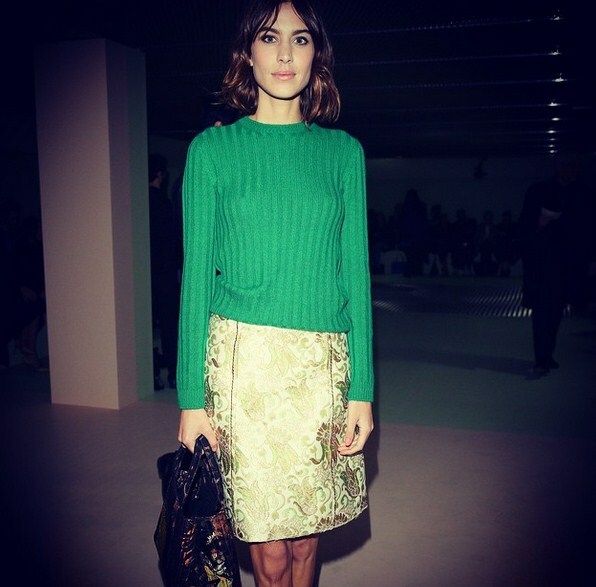 We love: the lean silhouettes, the pro-adult take on fashion and the revival of a Roman colour palette. We love: the twisted side of power-dressing. We love: the graphic overload that complemented the Shanghai mood. We love: the Looney Tunes on sweaters and Moschino’s signature quirky ensembles. We love: how all the shades in our highlighter stack made it to this collection. Stay updated on international trends. 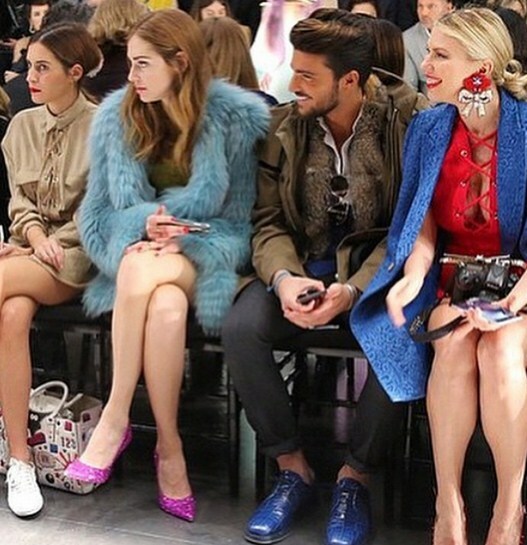 Check out our round-up of London Fashion Week and New York Fashion Week.